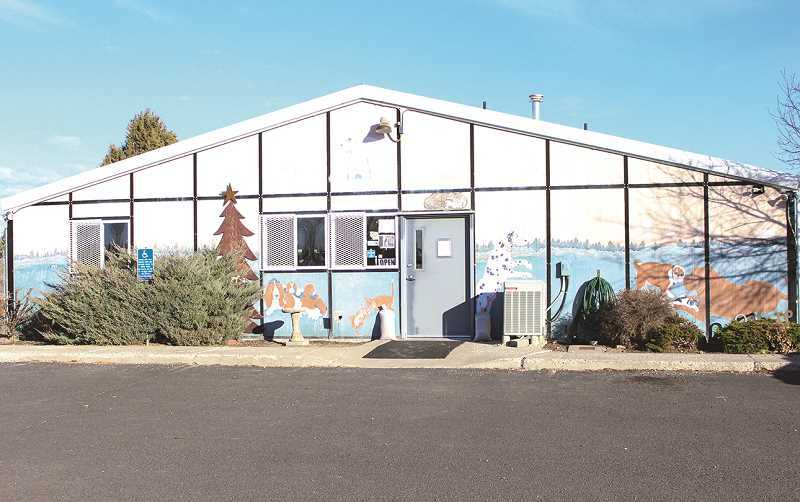 Humane Society of the Ochocos leaders want to replace their animal shelter with a more functional and structurally sound facility. To aid in that effort, they are turning to local residents with plans to form a citizen-led committee that will serve as pen and paper behind the effort. Executive Director Heather O'Daniel said she and the HSO Board want to form the temporary committee as they move forward with architectural design, planning, fundraising, grant writing and more. "We received a Facebook (Community Action) grant last year, which helped us tremendously as far as hiring a company that specializes in shelter planning," O'Daniel said. She went to say that HSO leaders have since met with Shelter Planners of America once in person and a couple other times by phone. "We are working on the design of the shelter," she said. "We would like to have our citizens committee be a part of that." HSO is a no-kill shelter and takes in stray animals and houses animals that have been abandoned. Humane Society leaders want to replace a shelter that O'Daniel said is falling apart. "It is not a safe structure," she said. "I don't want big and glamorous, I am just wanting something that can properly and safely house the animals of Crook County that we see coming in. I just want to be able to provide that proper care and shelter for them." The current shelter is located on Tom McCall Road on a piece of property that O'Daniel said the Humane Society is close to owning outright. HSO leaders plan to tear down the existing structure and build a new shelter on the same footprint. The new facility would not be significantly larger, perhaps another 500 to 1,000 square feet more space, but O'Daniel acknowledged that the structure could cost a couple million dollars. She explained that there are special considerations for HVAC and other facets of the building specific to animal care that cost more than normal. "I hope it comes in a lot less than that," she said of the price, but added that she wants to build it right. "We have one shot at this, and I want to make sure we do it right. I just feel that we need to have this citizens committee be a part of this." O'Daniel anticipates the majority of money will have to come from fundraising efforts, some of which might involve participation from the citizens committee. "There are not a whole lot of grants out there that support animal welfare to this magnitude," she said, "so we feel that that most of our funds will be through fundraising and private donations." Those who are interested in joining the citizen committee are encouraged to contact O'Daniel directly at the HSO shelter. "This is something we are taking seriously, and we are moving forward," she said of the shelter project, "but we need help." Heather O'Daniel, executive director of Humane Society of the Ochocos, can be reached at 541-447-7178.